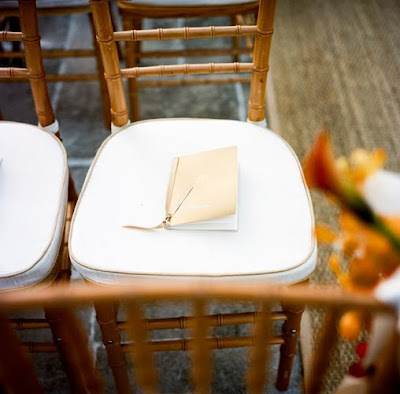 I just booked my 5th wedding for the summer/early fall, and I am super excited about each and every one of them!!! 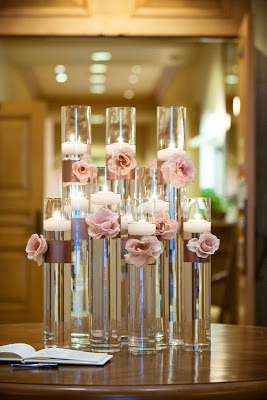 Every client is different, and each wedding will be uniquely designed and organized to fit each couple's personality! Here are few inspiration photos I looked at this morning to get my creative juices flowing! 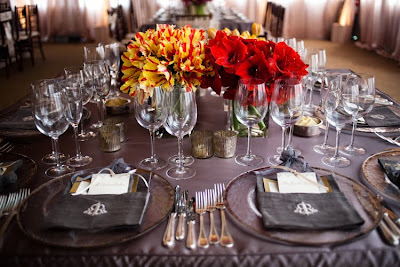 The slate gray and bright flowers look sophisticated and fun all at the same time. "Go Daddy" must be an inside joke...a "you had to be there" type of thing, but this is what is so great about making a wedding YOUR OWN! 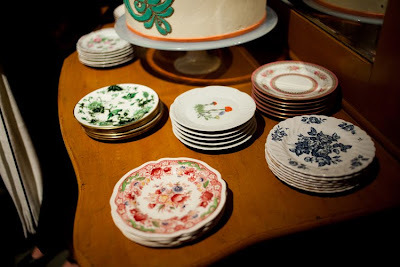 Usually not a fan of old china plates, but I LOVE them as a "detail." 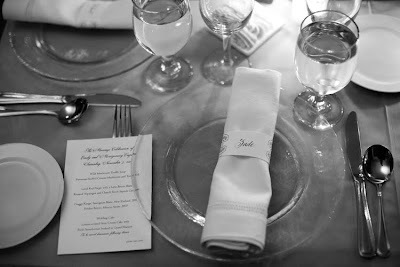 When there isn't any room for a place card, why not make it the napkin ring. WOW is all I can say! I wish I had been checking into the hotel for this wedding. 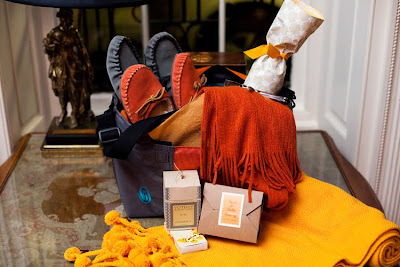 Ugg Slippers, a cashmere throw...the princess has arrived! 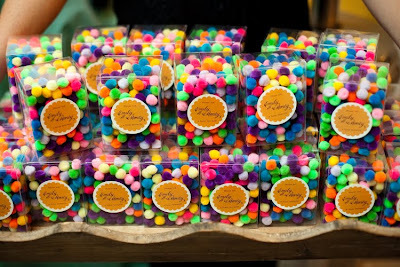 I wrote about throwing pom poms in an earlier post....this packaging is too cute! 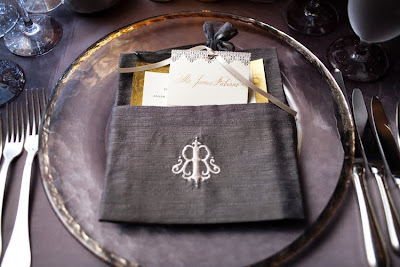 For you big budget brides...check out this monogrammed napkin (or is it a bag??? )...who cares, it is great looking!!! 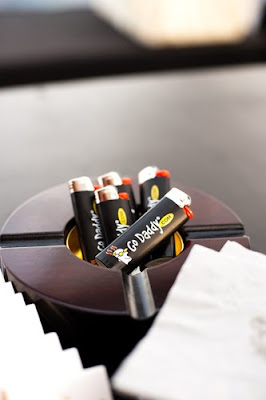 Maybe you could ask for these napkins as a wedding present and just use them for the rehearsal dinner or seated dinner reception? 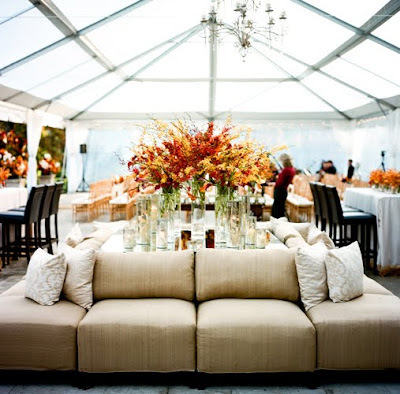 I am always a fan of lounge furniture at a wedding reception! 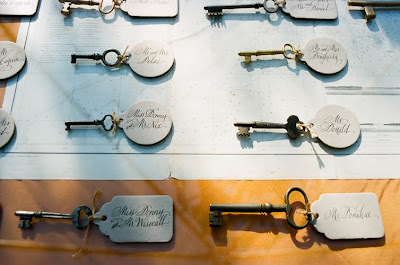 Antique keys as place cards...I have seen it all. Very cool for the vintage bride! I love programs in the chair when guests arrive.....but ONLY for the non-church pew ceremonies! 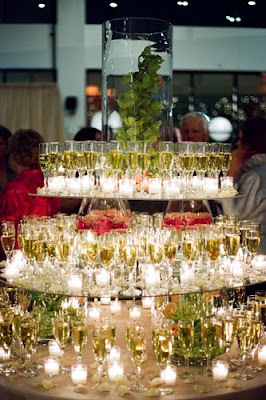 And....for my champagne loving bride!! **Thank you A Bryan for all the photos!